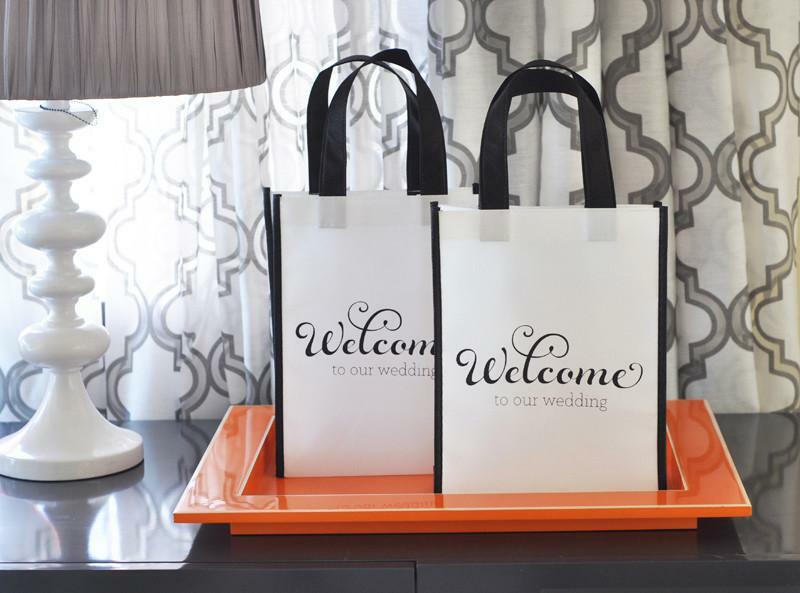 Welcome totes are a great way to greet your guests and add that extra personal touch. 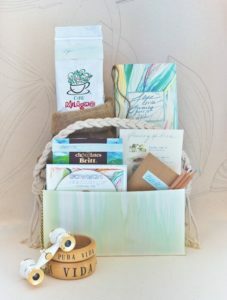 Whether it’s a destination wedding or local fete, hospitality kits with beyond-the-mini-bar amenities and a helpful schedule for the weekend’s events have become more than just a nice gesture—wedding welcome totes have taken on a life of their own. 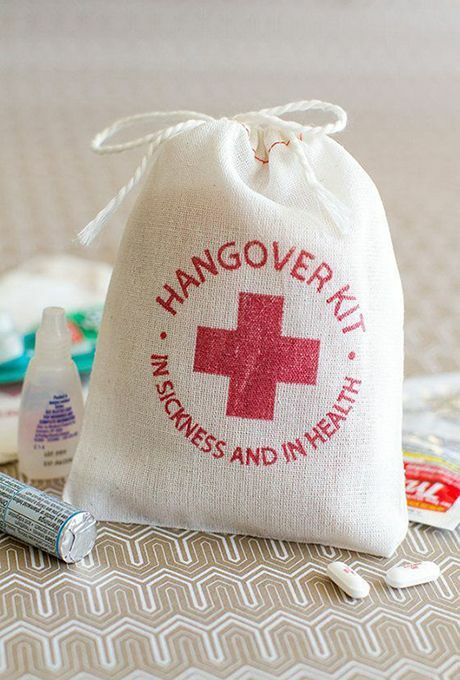 The Tote: Get creative and have fun playing up on the theme of your wedding. Think of containers that fit into your vision like metal pails, crates or a basket. Canvas bags are great and can be used again long after the wedding is over. Just be sure whatever you choose, they are big enough to fit all you goodies. Paperwork: Many of your guests will be coming from out of town and not familiar with the area. Include a welcome letter, the link to your wedding website and an agenda of the weekend’s activities and ideas of fun things to see and do. Throw in a map, some popular places to visit, activities and of course places to grab a bite to eat. Here at the Foundry, we can also give you a personalized pamphlet with the Then & Now history of the Foundry so your guests have some insight to the venue you have chosen for your special day. Snacks: Snacks are essential to keeping your guests happy! 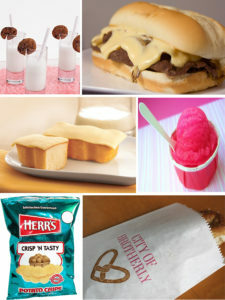 This is a great way to incorporate some of your favorite local snacks and treats. 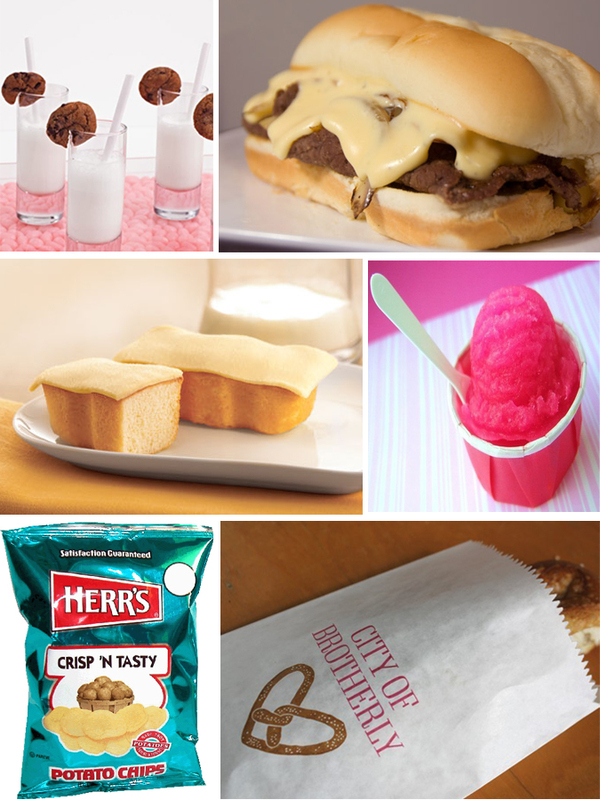 Since were in the Philly area- Philly snacks like pretzels, tasty cakes etc… are great way to play on local favorites. Make sure to mix it up with sweet and salty treats. 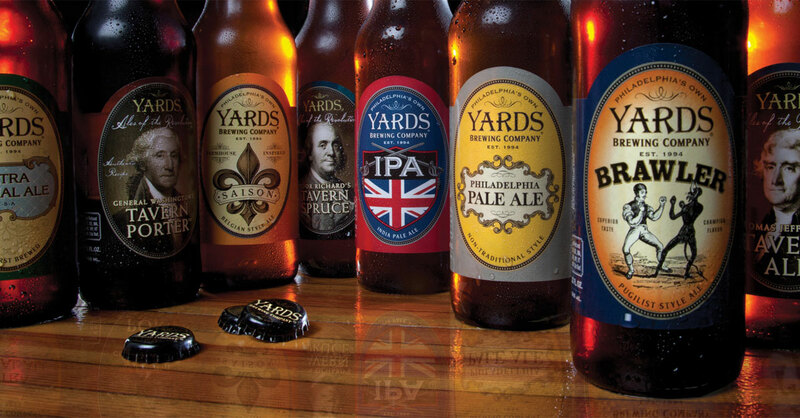 Drinks: Throw in a favorite local beer or mini bottles of wine from your favorite brewery or winery. Keeping your guests hydrated is always good, a couple bottles of water are always good, especially the morning after the big Day! 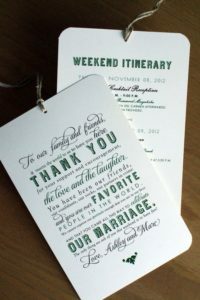 Essentials: Whether you’re having a winter wedding or summer destination, make sure your guests have a few essentials. Hand warmers, tea bags, scarves or sunglasses, bug spray and lip balm. Hangover Helpers: Helpful items to add to the bags are Advil, Alka seltzer, Emergen – C and water will help combat any morning after ailments. Your friends and family will thank you! 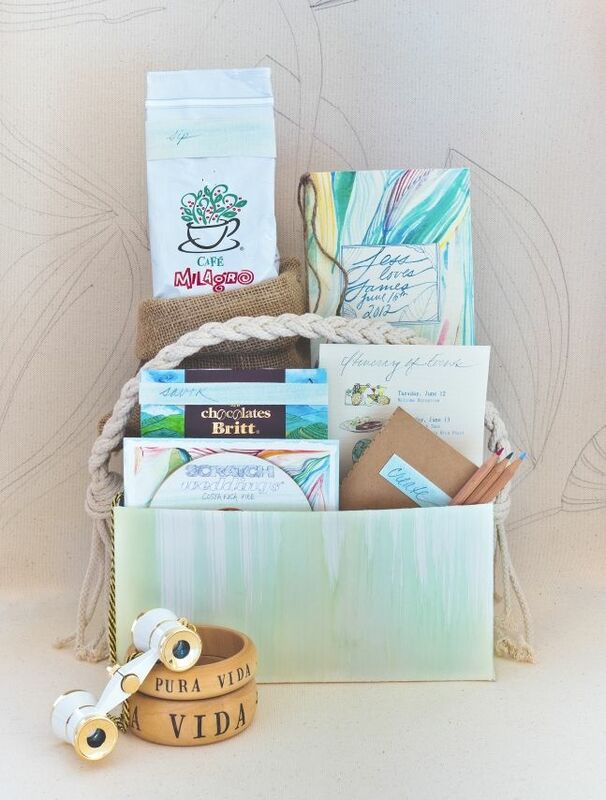 Surprise your out-of-town guests by having the welcome bags waiting for them in their rooms. It’ll be the first thing they see when they walk through the door and is sure to instantly make them feel right at home. But how do you get them to the hotel especially if you are out of town? Enlist a friend or family member to assemble or drop off at the hotel. I’m sure they would love to help! Some hotels charge for delivering bags, so be sure to ask.